Magazine Rack attributed to Jacques Adnet, France 1950`s. Black lacquered steel with brass detailing. Attribution: Wright Auction House, Chicago. 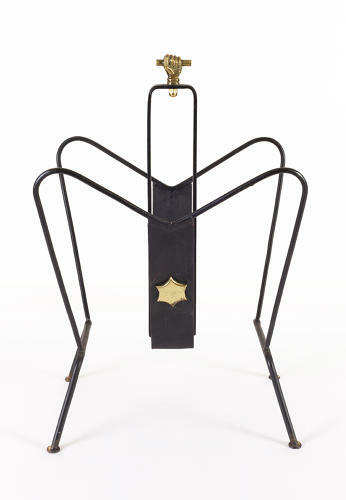 (Modern Design auction 19 October 2003 Lot 185).